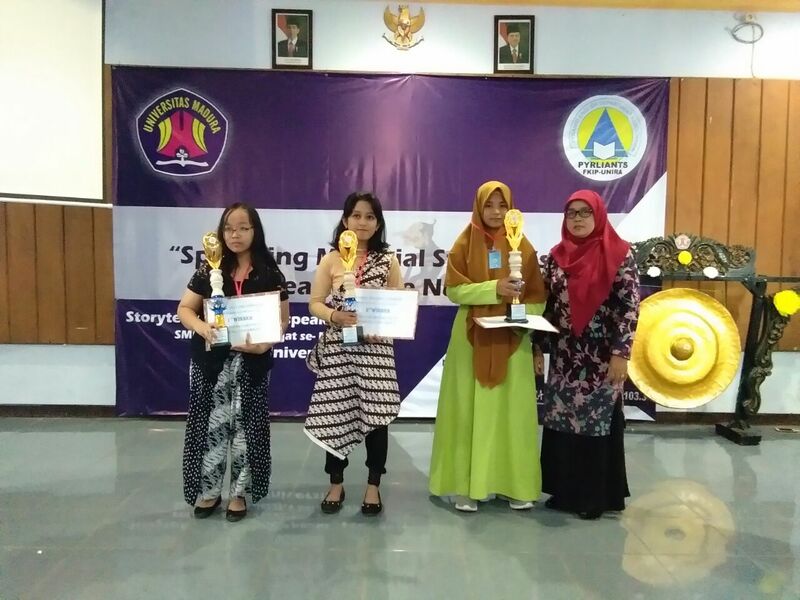 Competition Of Mastering English or familiar by COME 2018 as annual event of PYRLIANTS (Pyramid English Department Association) FKIP Madura University held successfully on Saturday and Sunday at 17th -18th of March 2018. This year expressly hold competition, focus on Speaking skills which divided by two categorises. Public speaking for Senior high school and Story telling for Junior high school all arround Madura Island. So congratulation for the winner and let’s recharge our power for next challenge. Be brave, show your golden talent and reach your achievment.